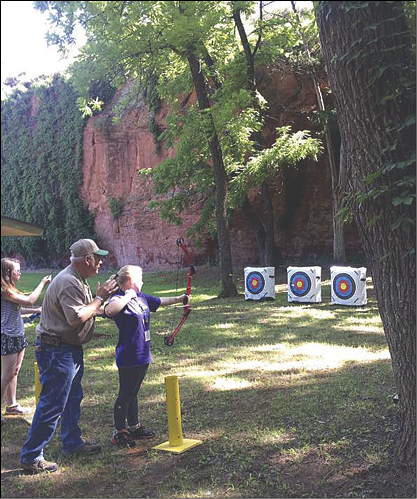 Junior-high CLUE campers from about 40 churches learned archery, faced off in chess, enjoyed group games after dark, and more on June 5-9 at Canyon Camp, near Hinton. Deans Morgan Ross, Kelley Ramey, and Laura Glover led the 156 campers, mostly from Cimarron and Northern Prairie Districts. 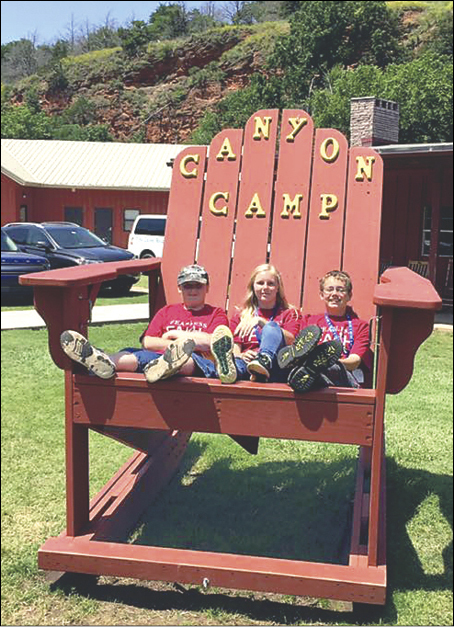 From left, enjoying Canyon’s oversized Adirondack chair at CLUE Camp are Will Moore, Hannah Haley, and Samuel Haley of Tonkawa-First.